In a letter to Patriarch Sako, Mgr Ortega Martín says that cooperation between Churches is a “strong show of communion” in the face of persecution and violence. The prelate notes that it is everyone’s responsibility to favour the return of refugees to their homes. He praises refugees who “after losing everything, held on to their faith.” Christ “is your strength”, he tells them. 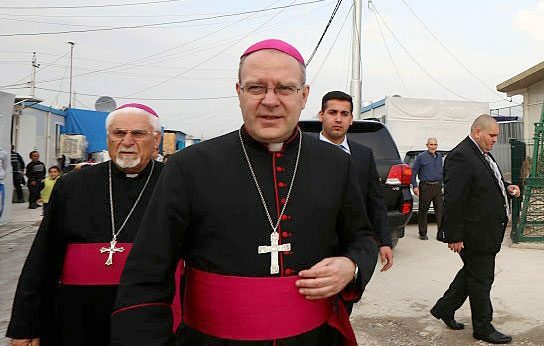 Baghdad (AsiaNews) – Mgr Alberto Ortega Martín, apostolic nuncio to Jordan and Iraq, wrote a letter to the Chaldean Patriarch Louis Raphael Sako. 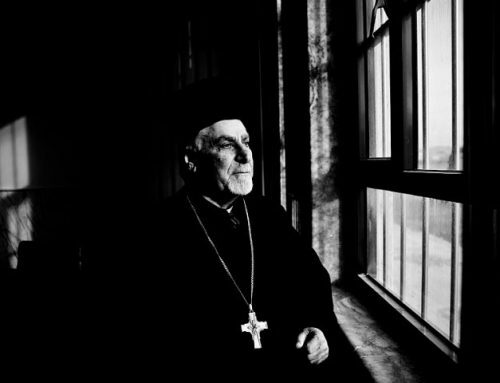 In it, he says that cooperation among Churches, Chaldeans, Syro-Catholics and Syriac-Orthodox is a show of greater unity and constitutes a “strong testimony of communion”. 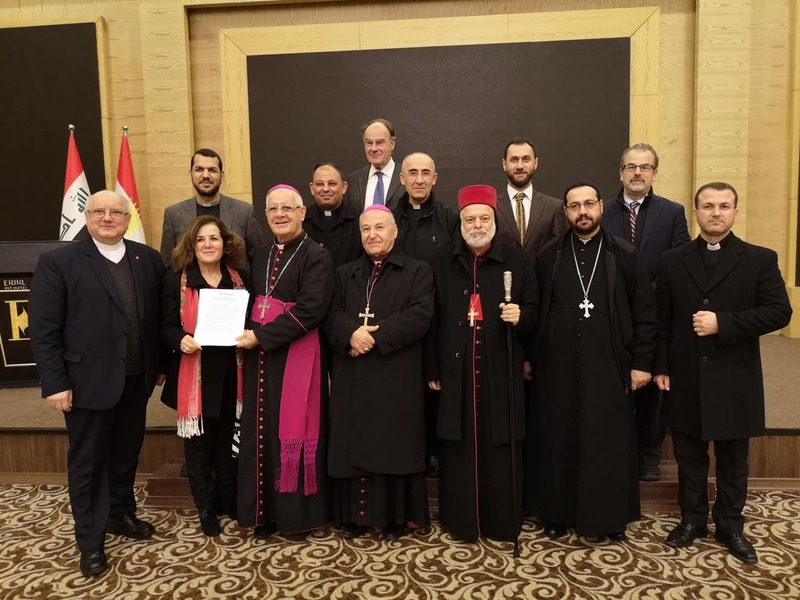 Going home is a “right and therefore a responsibility of all Christians and members of other groups, who have had to leave in 2014 their homes and lands” in Mosul and the Nineveh Plain “in such unjust ways”, following the rise of the Islamic State group. 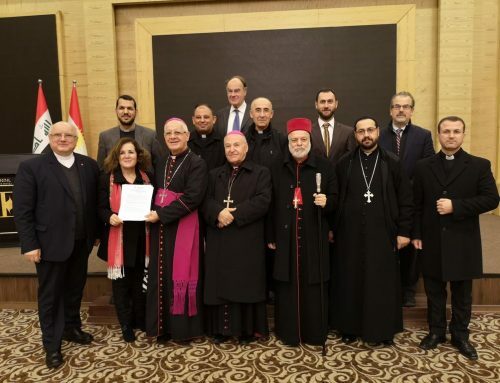 In his letter, the prelate notes that reconstruction has started (AsiaNews has contributed with its Adopt a Christian in Mosul campaign) and some families have already returned to Telleskof and other towns on the Nineveh Plain. This fills him with “joy and hope”. I was recently informed of the official launch of reconstruction work in some liberated Christian villages, which will be done with the help of various entities, in particular the organisation Aid to the Church in Need. This information, along with the news about many Christian families going back to Telleskof and other villages, filled me with joy and hope. The initiative to rebuild the villages, which has been in the works for a few months, is commendable. It is such a beautiful thing that various Churches present in the Plain of Nineveh, in particular the Chaldean Church, the Syriac Catholic Church and the Syriac Orthodox Church are involved. Their representatives sit on the Reconstruction Committee. I also note with satisfaction that the collaboration among the various Churches, in addition to strenghtenng their unity, is also a strong show of communion, which is a great gift and at the same time a task entrusted to us by the Lord. I hope that the happily started massive reconstruction enterprise can go on as hoped and that several local and international institutions can be gradually brought on board. In this regard, it is worth pointing out that going home is a right and therefore a responsibility of all Christians and members of other groups, who have had to leave their homes and lands in such unjust ways. I am grateful for the opportunity to express a word of encouragement to the many Christians in Mosul and the Nineveh Plain who, after losing everything, have born witness, held onto their faith and not denied the Lord Jesus Christ. To them I say: Your testimony of faith is a treasure for the whole Church. As Pope Francis put it, I encourage all Christians not to let others steal your hopes and remain attached to the Lord Jesus who is your strength. For those of you who have been displaced for a long time, often in very precarious conditions, I wish you a speedy return to your homes and villages. You know that your presence in the country is crucial. You are the presence of Christ. You have a good mission that no one can do in your place. I urge you to remain in your homeland to continue contributing to the good of society. With you I continue to pray for peace and reconciliation in the country. I assure you that you are not alone: the Church, starting with the Holy Father, whom you know loves you and remembers you in his prayers, is close to you. Signs of this closeness are all the help that have come from so many institutions and so many people. The initiative, sponsored by Aid to the Church in Need, is a precious and concrete act expressing such concern. I am very grateful to those who are committed to making this good deed possible to which I wish all the best. In order to carry out the reconstruction work, you will need a lot of material help, which I trust will come. However, you will also need above all courage, motivation, and work moved by the faith of each one of you. In this respect, the role of leaders is crucial. 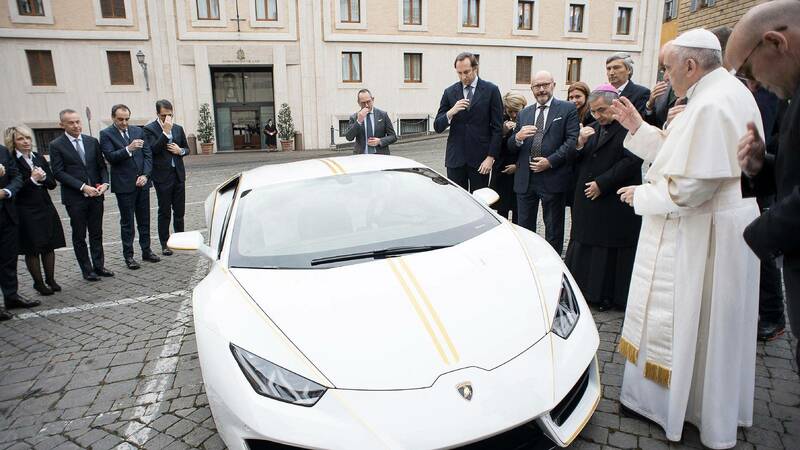 Your Beatitude is called to play a leading role; the same goes for the bishops of other Churches, as well as priests, men and women religious. In this regard, the unity of intent and collaboration are paramount, especially among priests and their bishops. At a moment in which the future of Christians in the country is at stake, such unity and communion are of primordial importance. The faithful are watching and expect from you, priests and bishops, this testimony of unity. 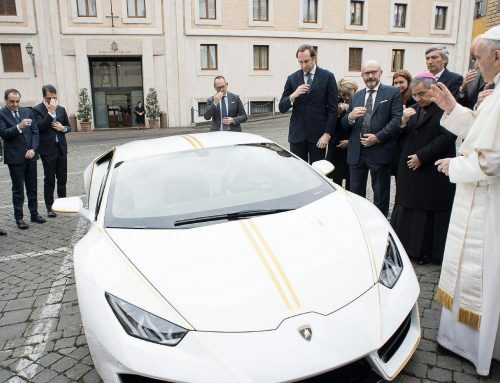 They want to see priests together with their bishops working for the good of the faithful and therefore for the good of the Church and society as a whole. On my part, I can assure you of my prayers and my commitment to further as much as possible this important work of reconstruction. I entrust you to Our Lady of Fatima, and I send you my blessing. 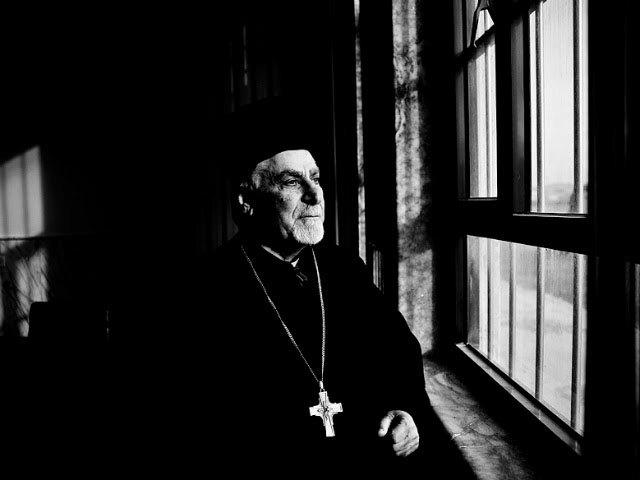 In communicating to you that I thought it appropriate to send a similar message to His Excellency, Mgr Youhanna Boutros Moshe, archbishop of Mosul of the Syriac Catholic Church, I take the opportunity to confirm to you, Most Reverend Beatitude, my deepest respect.